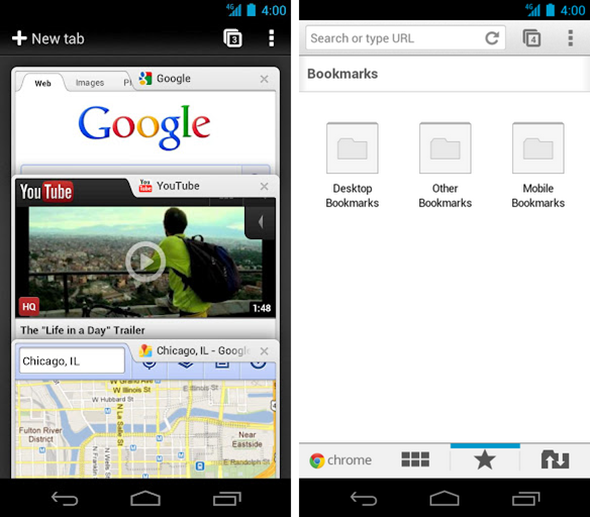 Google Chrome Officially And Finally Lands On Android – Download Now! It is finally, finally here, folks! Google has just announced and released Chrome for Android. It’s everything you love about Chrome on your desktop, now in mobile form. We are very excited about this piece of news as we are big, big fans of Google Chrome here at Redmond Pie. Details and download link available after the jump! The news comes straight from the Google Chrome Blog in the form of an announcement post in which they discuss Chrome for Android, its features, its “beta” tag and future development. Today, we’re introducing Chrome for Android Beta, which brings many of the things you’ve come to love about Chrome to your Android 4.0 Ice Cream Sandwich phone or tablet. Like the desktop version, Chrome for Android Beta is focused on speed and simplicity, but it also features seamless sign-in and sync so you can take your personalized web browsing experience with you wherever you go, across devices. It is smooth as butter/silk, supports tabs, comes with the ability to completely synchronize with Chrome on the desktop (more on that in a bit) and comes with an Incognito Mode. Because it is apparently feature-incomplete, Google has labeled it as a “beta” app and is looking forward to feedback from the vibrant developer community to help make Chrome for Android even better. The one feature that makes Chrome for Android so very special is its tight integration with Chrome on the desktop. If you’re signed in to the same account on both your desktop and your smartphone/tablet, you can see the tabs you left open, get smarter suggestions and, of course, sync bookmarks! 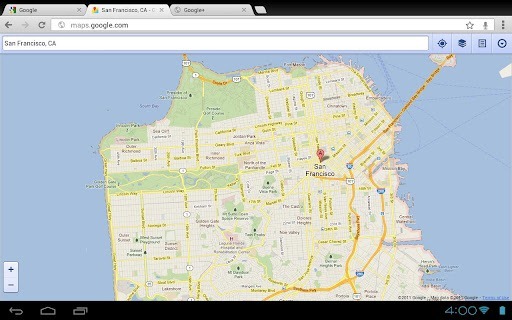 Chrome for Android is available for free and can be downloaded for free from the link embedded below. Now, about the bad news; Chrome for Android only works on Android 4.0 Ice Cream Sandwich. Yes, yes, we know, only 1% of Android users have a device with Ice Cream Sandwich so this is a big limitation. Then again, we believe the guys over at XDA-Developers will be able to port Chrome to older versions of Android. We’ll have the link when its ready.